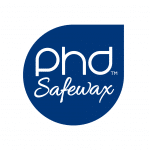 Phd™ Safewax offers a unique patented application system for waxing. Disposable applicator heads have a single gate mechanism to prevent wax from re-entering the tube, eliminating the danger of cross contamination. We use Phd™ at The Spa Therapy Room as we believe it’s truly the only wax treatment you can trust! The Nation’s First Ever DECHOX!